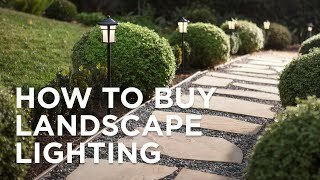 Use this LED landscape lighting set to illuminate a dark garden pathway or sidewalk area. 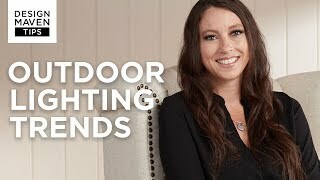 Give your front or backyard stylish accent lighting with this complete landscape lighting set. 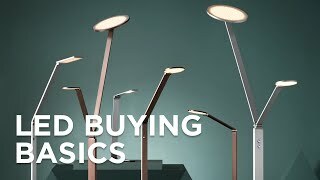 This kit includes six low-voltage modern LED path lights with a mushroom shaped shade, a black finish, and aluminum construction. Two black spotlights offer directional lighting for added convenience. A 45-watt low voltage transformer is included, which features a built-in photocell for dusk to dawn operation. A black landscape wire completes the kit, so you can connect your lights, bringing this set together for a spectacular look. Works with existing low voltage landscape lighting systems. Path lights are 18" high x 7" wide. Spotlights are 7 1/2" high x 3" wide. Each path and spotlight with 4 watt LED module. 340 lumen light output, comparable to a 35 watt incandescent. 3000K color temperature. 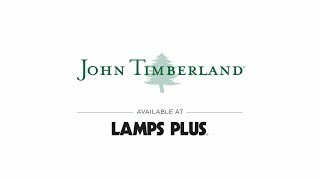 Complete energy-efficient LED landscape lighting kit from John Timberland®. Includes six path lights, two spotlights, one 45-watt low voltage transformer, 50-feet of cable. Includes 45 watt transformer. Full ON mode or three AUTO settings (4, 6, and 8 hours), built-in photo-cell for dusk to dawn operation. A textured gray finish adorns the aluminum frame and complements the UV-stabilized white polycarbonate shade in Sonneman&#39;s Inside Out Square Column LED outdoor bollard. The Inside Out Square Column LED outdoor bollard will add beautiful illumination to your yardwhile the textured gray finish accentuates your modern decor.